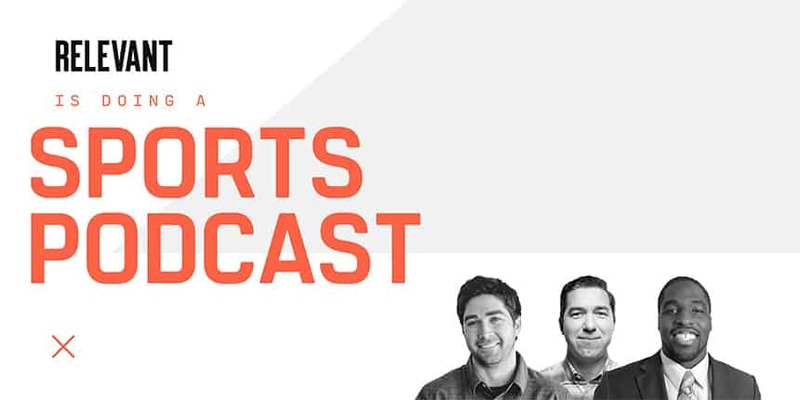 Thanks for listening to season one of the RELEVANT Sports Podcast! We'll be back in June with all-new episodes! This week, Sam and Jesse break down the epic UMBC win, discuss the problem of hazing in sports, the latest drama with the Cavs and more. And, ESPN’s Daniel Dopp returns to talk about the fantasy football implications of this year’s coming draft class and recent free agency moves. This week, the gang breaks down the latest from the world of NFL free agency and Sam updates us with some big news. We also present a special March Madness edition of Mascot Cage match and hear about the incredible work on International Justice Mission. This week, the guys break down the latest NFL trade rumors before looking ahead to the wild times of March Madness. Plus, an in-depth look into the FBI's investigation of the NCAA, and the controversy over whether college sports should pay the student athletes. Orlando Magic Senior Vice President Pat Williams joins us to talk about his new book ITALS Coach Wooden’s Forgotten Teams and the spiritual legacy of the legendary coach. This week, Baltimore Ravens star Benjamin Watson joins us to discuss the incredible work he is doing off the field to help fight human trafficking. This week, Sunday NFL Countdown host Sam Ponder joins us to discuss her faith, football and breaking down barriers for women in sports.